Route 66 Vintage Iron Motorcycle Museum is located on the Mother Road in downtown Miami. 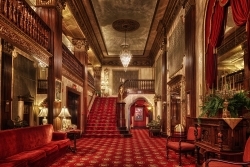 The museum includes a 2,000 sq. 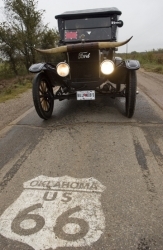 ft. motorcycle and Route 66 gift shop and is home to an incredible collection of motorcycles and memorabilia. An ever-growing Evel Knievel memorabilia collection has been added and includes Evel's Snake River Canyon Jump Mission Control Super Van. There are over 40 vintage motorcycles on display at the museum, including a 1917 Harley Davidson, 1972 Yamaha World Record Jump Bike, 2004 Honda world record jump bike, 1949 Indian Scout, 1949 AJS, 1957 Ariel, and many more. 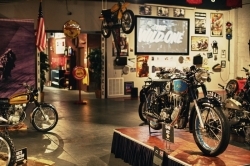 The museum also houses the largest vintage motorcycle photo collection in the country. Hundreds of other artifacts are also on display, including a wall covered in vintage helmets. Open Monday-Friday 10:00 AM- 6:00 PM, Saturday 10:00 AM- 5:00 PM, and Sunday Noon- 5:00 PM. Open Tuesday- Friday 10:00 AM- 4:00 PM and Saturday 10:00 AM- 2:00 PM. 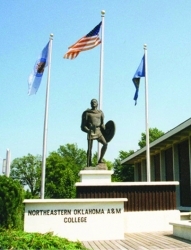 Northeastern Oklahoma A&M College, commonly referred to as NEO, is a two-year state residential college and fully funded by the U.S. state of Oklahoma located in the small former mining town of Miami, Oklahoma, with a variety of academic programs in Agriculture, Livestock Judging, Nursing, Physical Therapist Assistant, Theatre, Social Science, and other fields. Established as the Miami School of Mines in 1919, NEO currently has an enrollment of approximately two thousand students. The Golden Norsemen is the school mascot. Business Hours Monday - Friday 8:00 AM- 4:00 PM. 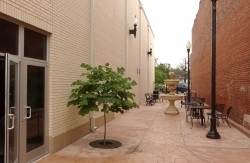 Walk outside our gorgeous ballroom lobby and you enter "Celebrity Park," a serene "pocket park" with a fountain and benches. It is a nice place to sit, read and enjoy a cup of coffee. 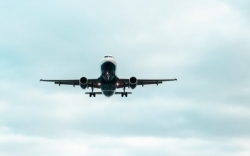 It received its name when six individuals were selected for the "Wall of Fame." All six were Miami residents, achieved high levels of professional accomplishment and contributed to the community of Miami. Since then, four more worthy individuals have been added to the "Wall of Fame. 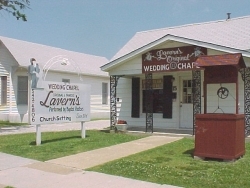 In Business Since 1954 Open Monday-Friday 9 a.m. to 4 p.m. Evenings, Weekends, and Legal Holidays by appointment after obtaining Oklahoma Marriage License and add $20.00 to fee. Must be 18 yrs. of age, have valid ID, no divorce pending Marriage License across street $50.00 Wedding/Pastor/Witnesses $60.00 Totals $110.00 Open Monday- Friday 9:00 AM- 5:00 PM. 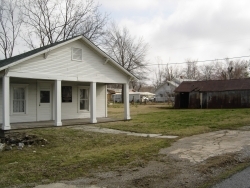 Drive just a few miles north to Commerce, Oklahoma and see the boyhood home of baseball legend Mickey Mantle. The New York Yankee slugger became known as "The Commerce Comet." You can get out and walk around the lawn where he learned to hit and throw balls. The old tin barn that served as his backdrop still stands and you can see and feel all the dents and dings in the metal where he spent countless hours honing his skills. A replica of a sign originally constructed in the 1900's that spanned Central and C Street adjacent to the railroad station. For many years the sign welcomed visitors to Miami. The original sign was removed during the 1930's. Today's replica welcomes visitors to a revitalized downtown Miami. The Charles Banks Wilson Art and Cultural Education Center features a beautiful art gallery with original work by Wilson on permanent display. Formally dedicated in August of 2013, the project was spearheaded by the NEO Development Foundation. Located in Kah-Ne Hall with the NEO Art Department, the Charles Banks Wilson Gallery is free and open to the public. An icon among artists, Charles Banks Wilson began teaching night classes for NEO A&M College in 1943. He was later named Chair of the Art Department at NEO and remained a faculty member until 1962. Influenced by the American regionalist tradition, Wilson used his own surroundings as his subject matter. Often characterized by Oklahoma landscapes, his art commonly portrayed farmers, cowboys, miners, and Indians. Wilson passed away in 2013. The NEO Development Foundation gladly accepts donations of artwork by Charles Banks Wilson. Donated artwork is put on display with a plaque recognizing the donor. If you chose to donate art, your gift is tax deductible. For more information on the Charles Banks Wilson Gallery or to host an event in the center, please contact Jennifer Hessee, NEO Development Foundation Executive Director, at 918-540-6250.